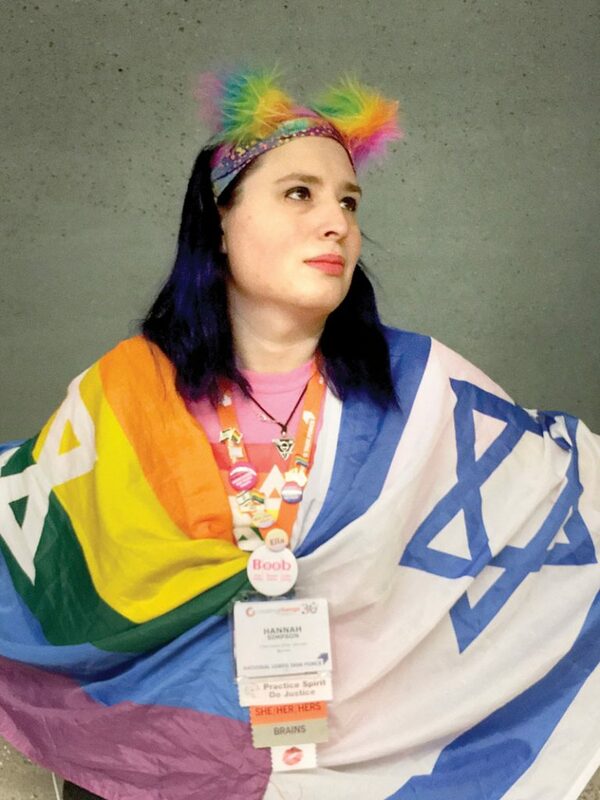 Trans queer Jewish activist Hannah Simpson is a fearless pro-Israel changemaker. 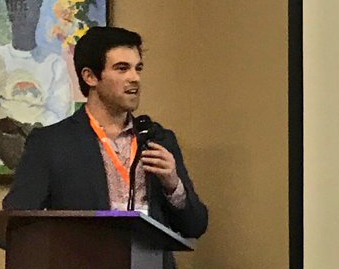 She recently attended the Creating Change conference, where she was interviewed by Metro Weekly as one of 30 amazing activists who are creating change in the LGBTQ community. Metro Weekly: Why are you here [at Creating Change]? I’m here to learn from the best of the best when it comes to meeting other activists, influencers, and people who have won over hearts and minds time and time again, often before I was even born. All I can do to thank some of these people who’ve sacrificed so much for me to have the freedom to even contemplate my existence is pay it forward. And the best way I can pay it forward is by knowing my history, knowing what’s worked in the past, and being able to let that influence how I approach the future. Metro Weekly: What issues are particularly important to you? 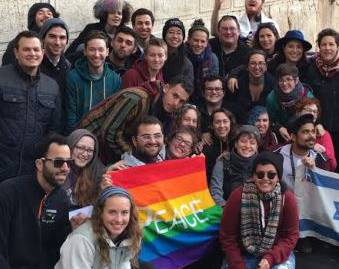 One of the ones that to me is most important right now is advocating for positive portrayal of Israel, and also seeing the Palestinian narrative from actual Palestinians being brought to the forefront in the context of queer identity. It is still, unfortunately, a community that doesn’t have a lot of resources for LGBT people coming out, being accepted by their families, having resources in case they aren’t. A lot of them are subject to violence. Meanwhile, what I want to show is that both countries — Israel and Palestine beside each other — have so much to gain by improving and working together. Metro Weekly: How much of a threat is Trump to the LGBTQ community? Administrations come and go, and what we do, being here, being visible, is reminding people that the difference between transgender people and Santa Claus, is that my existence is not dependent upon whether or not you believe in me. Continue reading in Metro Weekly. This is the third Creating Change conference that Hannah Simpson attended. She was one of the hundred people who attended the disrupted 2016 Creating Change Friday night reception hosted by A Wider Bridge. “An intentionally safe forum for dialogue was repeatedly breached by intolerance and fear-mongering — the same realities the queer and transgender movements once arose to overcome,” she writes. Read her experience here. Hannah Simpson participated in the A Wider Bridge Leadership Mission Trip in 2016.